Art in Our Lives grew out of the conversations of a group of Native women artists who spoke frankly about the roles, responsibilities, and commitments in their lives while balancing this existence with their art practice. Finding common ground, they started out as a small group of six that eventually grew to eleven who ranged in age from seventy to twenty-seven with backgrounds as diverse as their ages. Together they recognized their experiences, acknowledging that what they shared was not unique to them since other Native women artists could speak to similar life realities. How often such experiences were actually shared became the larger issue. The topics these women thoughtfully discussed resulted in this book at the initiation of the artists, some of whom also contributed essays. 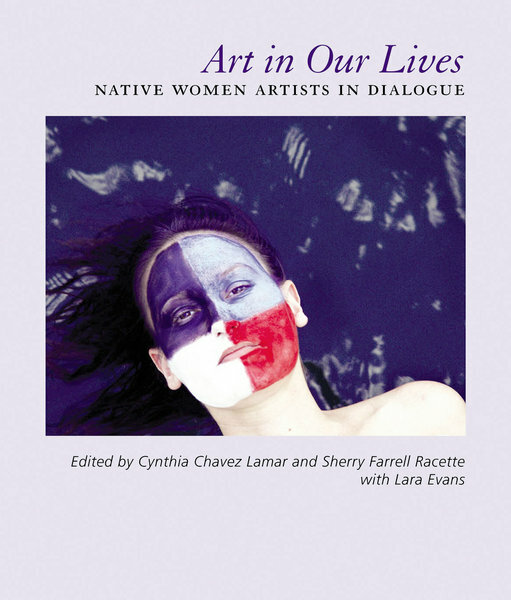 The chapters in this book reflect some of the seminars’ common threads such as home/place, transgression/boundaries, art as healing/art as struggle, pain/joy, art practice/work, and survival/colonization. Publication of this book was made possible by the generous support of the Anne Ray Charitable Trust and the National Museum of the American Indian, Smithsonian Institution. The Anne Ray Charitable Trust also supported the seminars on which this publication is based.